EAW022419 ENGLAND (1949). The area around Farringdon Street and Fleet Street, London, 1949. This image was marked by Aerofilms Ltd for photo editing. 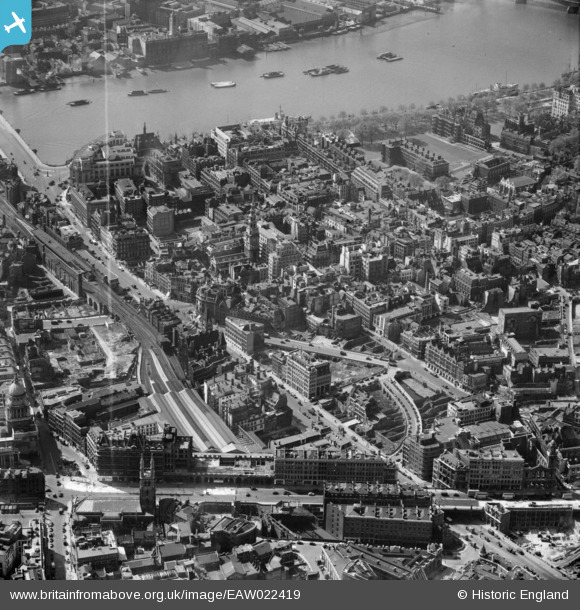 Title [EAW022419] The area around Farringdon Street and Fleet Street, London, 1949. This image was marked by Aerofilms Ltd for photo editing. Low level tracks to Farringdon. 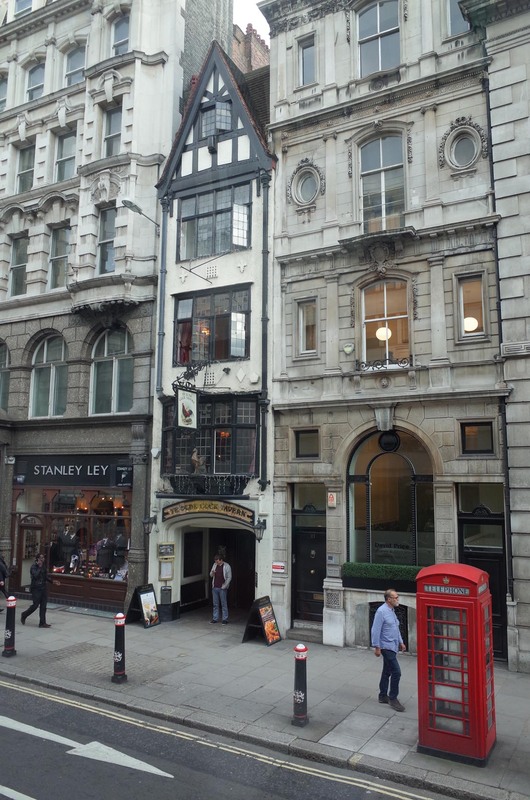 This the line that crossed the end of Fleet Street before entering the tunnel to Farringdon. Still exists but all in tunnel now and used by "Thameslink".